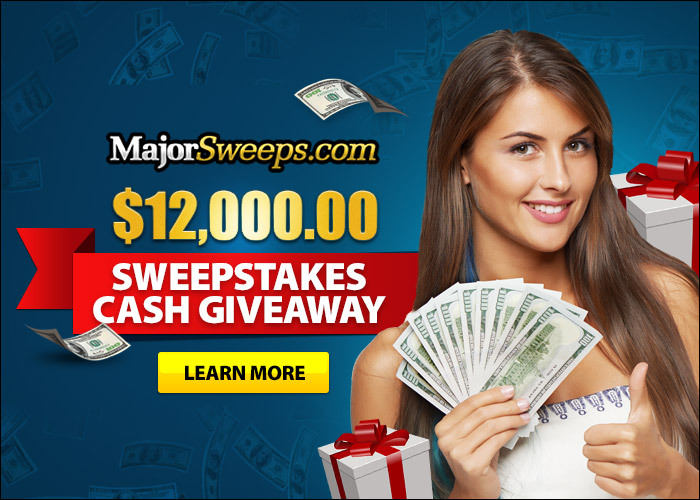 Check out the $12,000 cash sweepstakes from Major Sweepstakes! Entering is easy as 1-2-3 and is of course 100% free. Winner to be paid in $12,000 lump sum. To enter, click here or click the Major Sweepstakes banner directly below. Good luck!